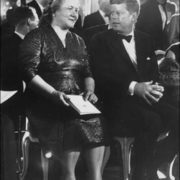 Nina Kukharchuk was a wife of Nikita Khrushchev, who became the head of state largely thanks to this woman. 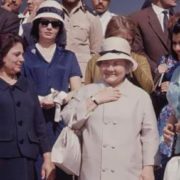 To tell the truth, she became the first wife of the head of state to travel abroad. 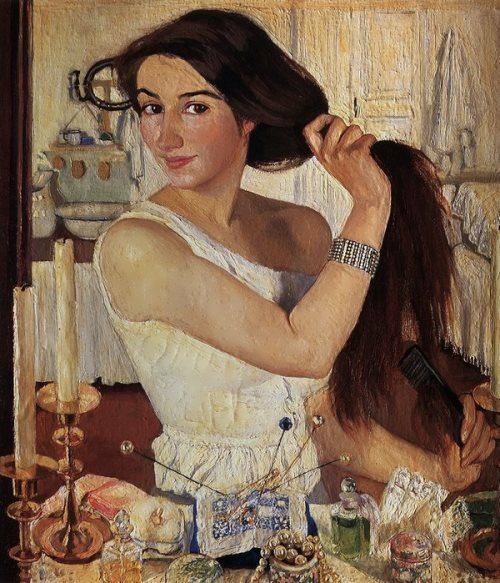 Nina Kukharchuk was born on April 14, 1900 in the Russian Empire. Her parents were poor farmers with many children. 12-year-old Nina finished village school and the teacher persuaded her parents to send the girl to study in the city. The war began when she entered the Mariinsky School. 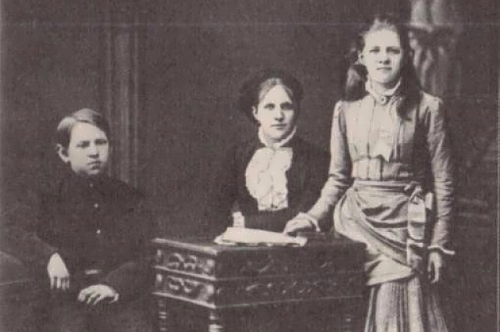 The school was moved to Odessa, where Nina lived until 1920. 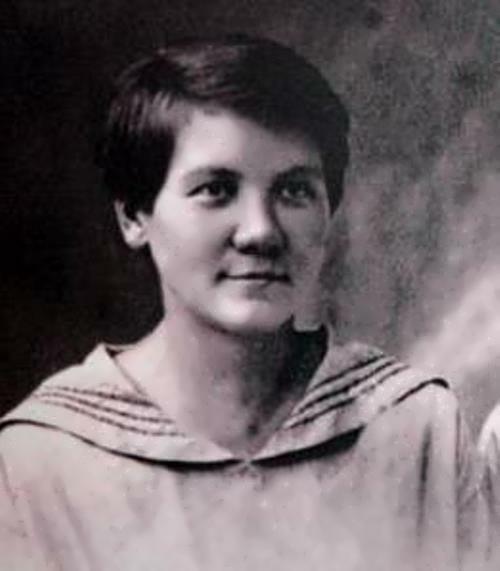 In 1919, in occupied Odessa Nina joined the Bolshevik Party and began clandestine activity. In particular, she was one of the leaders of the Odessa underground komsomol organization. You know, in June 1920, Nina was sent to the Polish front as she spoke Polish. The girl repeatedly had to risk her life. Later Nina came to Galichina where she became an activist of the Western Ukraine Communist Party. In 1922, Kukharchuk illegally crossed the border and returned to Soviet Russia. Actually, she was going to Moscow, but in Donetsk she fell ill with typhus. The girl was able to overcome the disease. 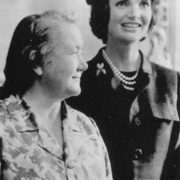 Seraphima Gopner became her “guardian angel”. She played an important role in Nina’s life. Seraphima introduced Nina to the young man, who arrived in the Donetsk region. The man was Nikita Khrushchev. Young people decided to live together. 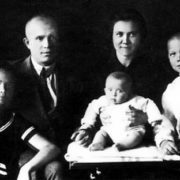 Khrushchev’s first wife died in 1920, and he remained alone with two children. 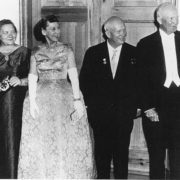 Soon Khrushchev was sent to Moscow to study at the Industrial Academy. Nina and their daughter Rada (born in 1928) moved to Moscow in 1930. In 1935 their son Sergei was born and in 1937 Nina gave birth to their daughter Elena. Nina was a modest woman and went to work by tram. 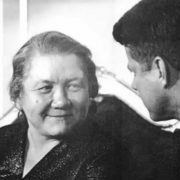 Only close friends and the authorities knew that her husband was the first secretary of the Moscow City Party Committee, first secretary of the Communist Party of Ukraine, the first secretary of the CPSU Central Committee. 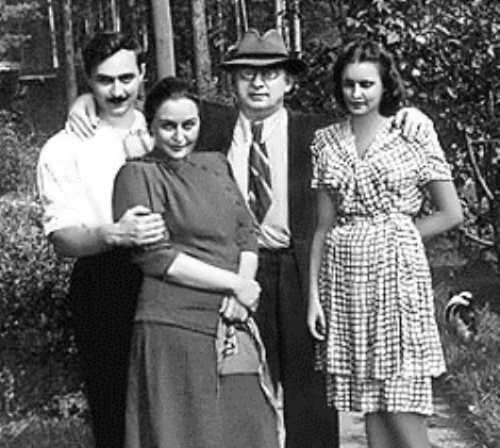 In 1938 the family moved to Kiev. Khrushchev headed the Communist Party of Ukraine. Nina began to study English. But most of the time she devoted to family problems. 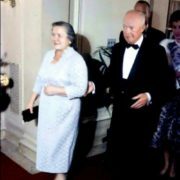 Khrushchev’s son from his first marriage was killed. Their son Sergei was ill with bone tuberculosis. 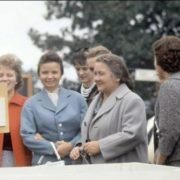 When Khrushchev came to power Nina began to appear in public. Nikita started taking her with him to travel abroad. 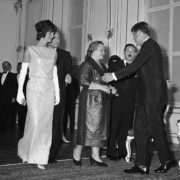 It was a sensation at the time – foreign countries for the first time saw the wife of the Soviet leader. Nina Petrovna spoke not only English but also French and Polish. 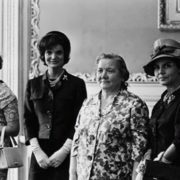 She communicated with the Kennedys and Rockefeller was surprised that Nina was well versed in economic matters. 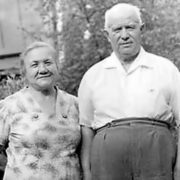 Nikita Khrushchev and Nina Kukharchuk lived together for nearly half a century, but got married only in 1965. Nina Petrovna died on August 13, 1984 in Moscow and was buried at the Novodevichy Cemetery.